It has a LOT of useful copyright information -- straight from the U.S. Government! 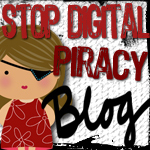 Of particular interest are the links in the FAQ section under "Copyright and Digital Files." There is a link that says "Is it legal to download works from peer-to-peer networks and if not, what is the penalty..." -- go check it out!!! !